Last weekend I attended the 2016 Boston Wine Expo. 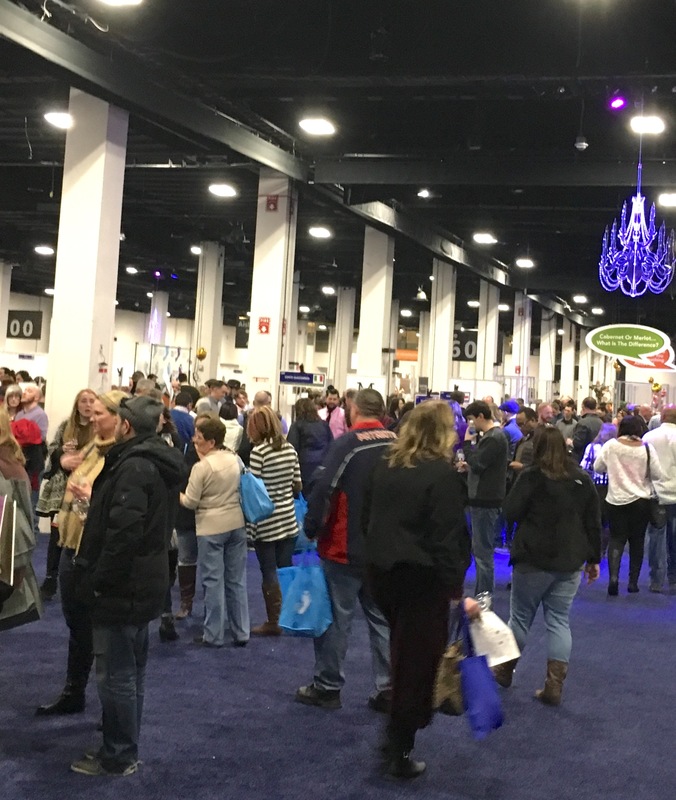 Held on President’s Day weekend for the past 25 years, the Boston Wine Expo is the wine tasting event of the year for serious wine drinkers. 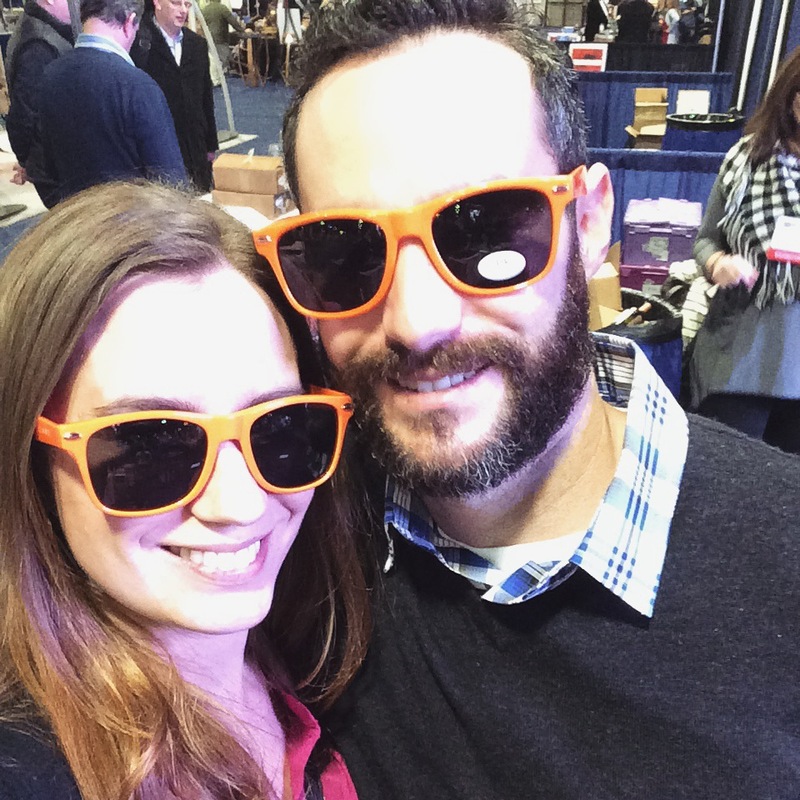 After a great first experience with my boyfriend at the 2015 Boston Wine Expo, I was excited to attend the Silver 25th Anniversary this year. The Expo took place on both Saturday and Sunday at the Seaport World Trade Center. We opted to go to the Grand Tasting which featured over 1,800 wines from 200 wineries. The Grand Tasting was held on Sunday, which was also Valentine’s Day. After a filling breakfast at home complete with Valentine’s chocolate, my boyfriend and I headed out to the Seaport in sub-zero temperatures. For some reason the weather gods seem to frown on the Expo—it fell on the coldest two days this year and during a blizzard last year. Immediately upon entering the Expo, I noticed that the rows were wider and the tables were more spaced out. The 2015 Expo was very crowded, both due to it’s popularity and ticket trades on account of the blizzard. It was nice to see that the organizers took this into consideration. The increased spacing made it much easier to walk around without the fear of bumping into someone and spilling wine. We worked our way up and down the rows, sipping everything under the sun. When attending tasting events, I try to focus on new-to-me brands. There were several that stood out to me this year, including Brooklyn Oenology’s Broken Land, Bodegas Taron’s 2014 Rosado, and nearly every Vinho Verde offered. I also enjoyed new favorites from some of my go-to’s including the Magic Door Cabernet Sauvignon by 90+ Cellars. A sucker for photo booth fun, my boyfriend and I had a blast at the Infiniti gif-producing photo booth stationed between their beautiful cars. 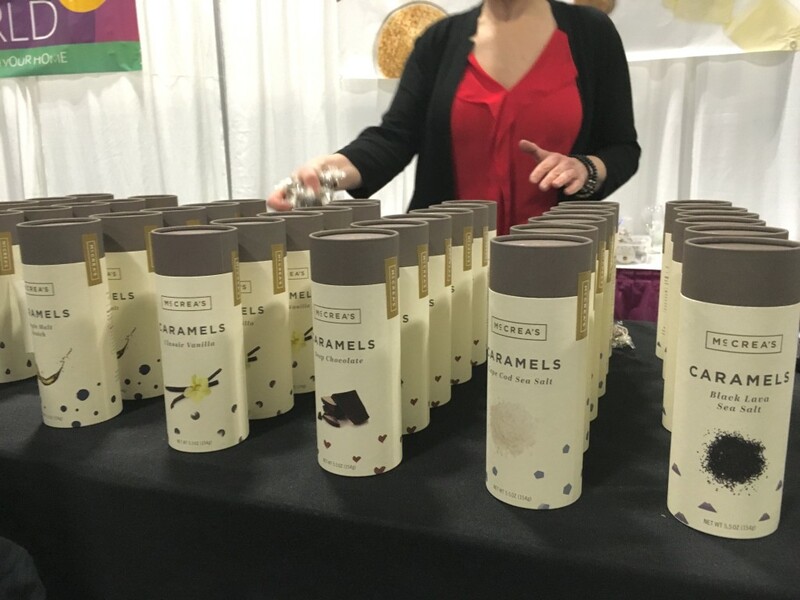 There were a number of small businesses at the Expo this year, many of which were food or snacks which allowed me to graze while I sipped my wine. My favorite was McCrea’s Candies, a local Boston company with the best caramels ever. While all of the flavors are delicious, the Black Lava Sea Salt Caramel is to die for! Wine wasn’t the only alcohol at the event—Jonathan Pogash, aka The Cocktail Guru, was in attendance with some tasty cocktails too! Although the Boston Wine Expo is huge, it’s inevitable that you’ll run into someone you know and low and behold, I ran into my blogger friend Jodi at the event. 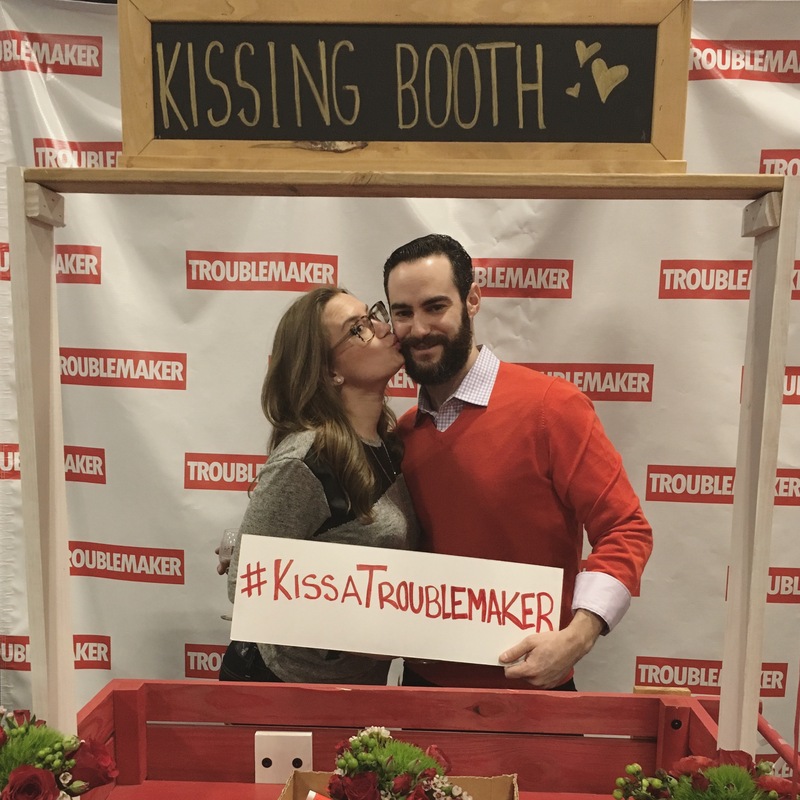 On our final round, my boyfriend and I found the Troublemaker Wine kissing booth, a delightfully fun addition to the Expo! Once again, the Boston Wine Expo stands as the perfect Valentine’s Day event in Boston. What better way to celebrate the day than drinking wine with the one you love? See you again next year! Last weekend was Valentine’s Day, which, in my world, can be spent in no better place than with the ones you love and with plenty of booze. 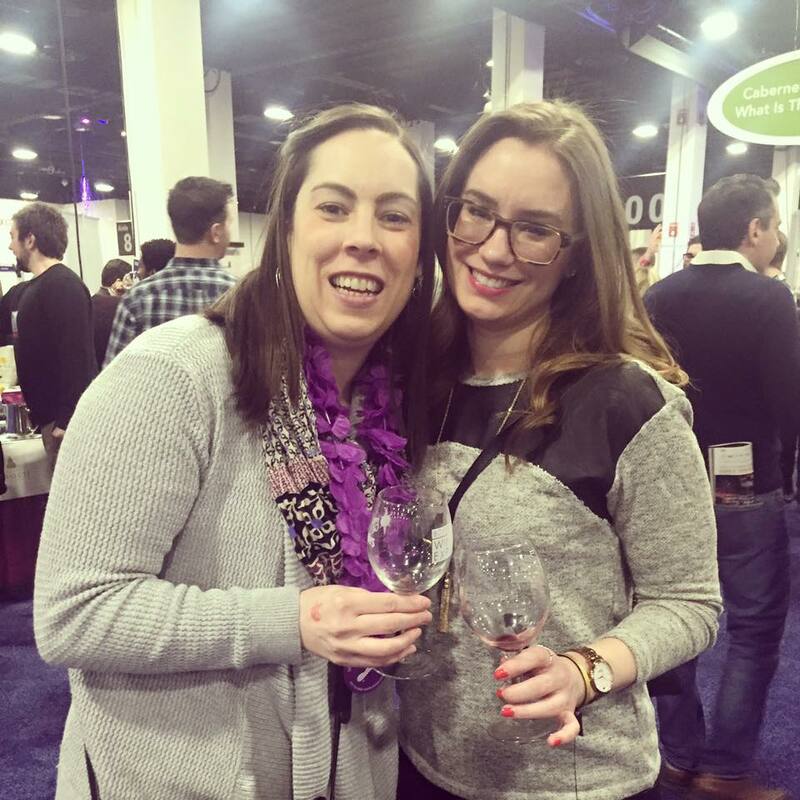 This year I had the opportunity to attend the Boston Wine Expo with my boyfriend for a wonderful Valentine’s Day of love, wine, and fun. 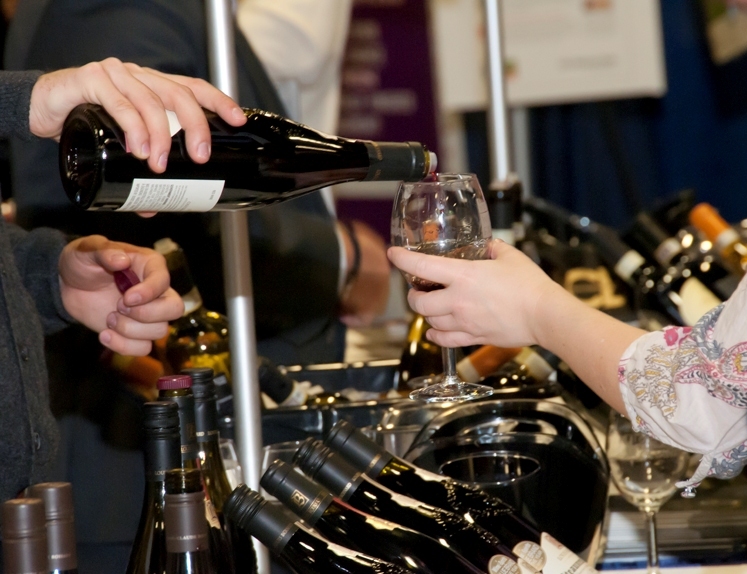 The Boston Wine Expo is hosted Valentine’s Day weekend in Boston. This year we were expecting a blizzard of epic proportions – estimated to have the strength of a Category 2 hurricane. I had been biting my nails all week, praying that my boyfriend would be able to fly in from Los Angeles and that the Boston Wine Expo would still go on. This was our first Valentine’s Day together (aww!) and I was hoping that the plans I made for us wouldn’t be ruined. Someone must have been listening because my Valentine flew in on time Friday night and by Saturday afternoon we were trudging through the blizzard to the Seaport Hotel and World Trade Center. Despite Sunday’s Grand Tasting cancellation because of the storm, Saturday’s event was great! 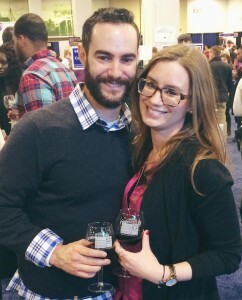 Neither myself nor my boyfriend had ever attended the Boston Wine Expo so we were excited to experience it together. The Expo did not disappoint! 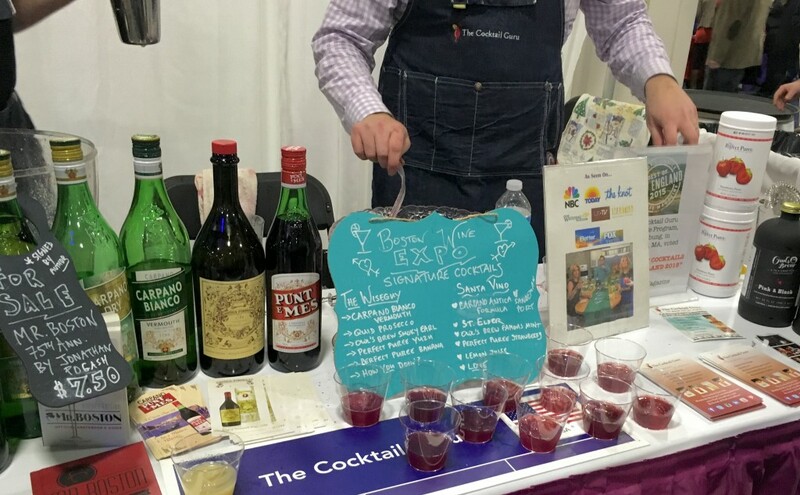 A big supporter of small businesses and startups, I was happy to see a number of small wineries and local Boston companies as well as small businesses from different parts of the country…and wine, of course. The World Trade Center is huge and between the food demonstrations, wine-inspired shops, and tastings, there was a lot to see! Sectioned with rows of wines on the inside and food and companies on the perimeter, the Expo was surprisingly easy to navigate despite its size. 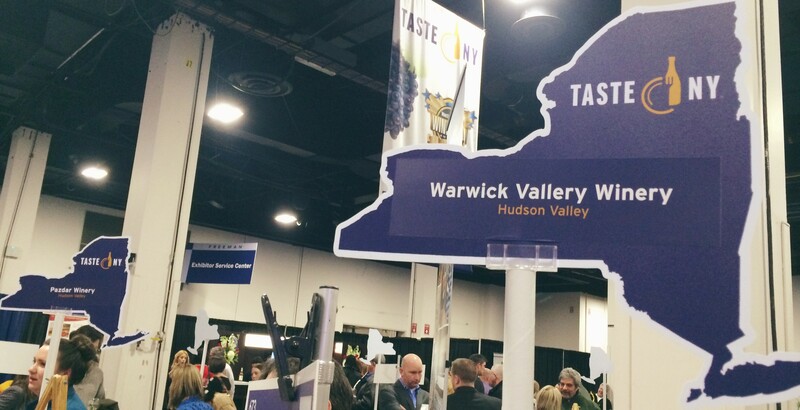 I enjoyed the New York and Florida wine sections – two states overlooked for their production in the wine industry. There were 25 wineries from New York present and it was the first time that NY wineries took part in the Boston Wine Expo. On the Boston front, my fan-girl favorite Boston wine company, 90+ Cellars was holding court in the center of the room. They had 4 pallet tables set up for tasting both 90+ Cellars and Ironside Cellars wines. I had been meaning to try Ironside wines and was happy to get to taste their Cabernet Sauvignon. 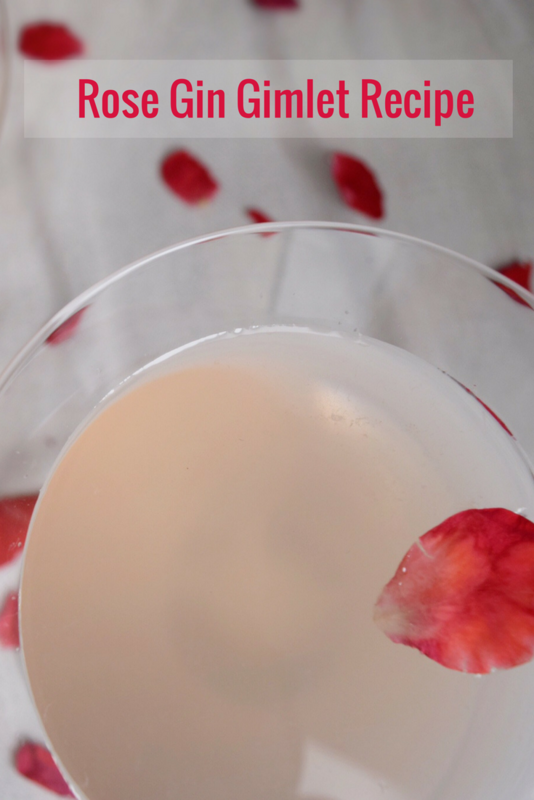 But in the spirit of Valentine’s Day, I was on the hunt for something pink and fun to drink. Not that I need any excuse for rosé, but nothing says Valentine’s Day like pink wine. 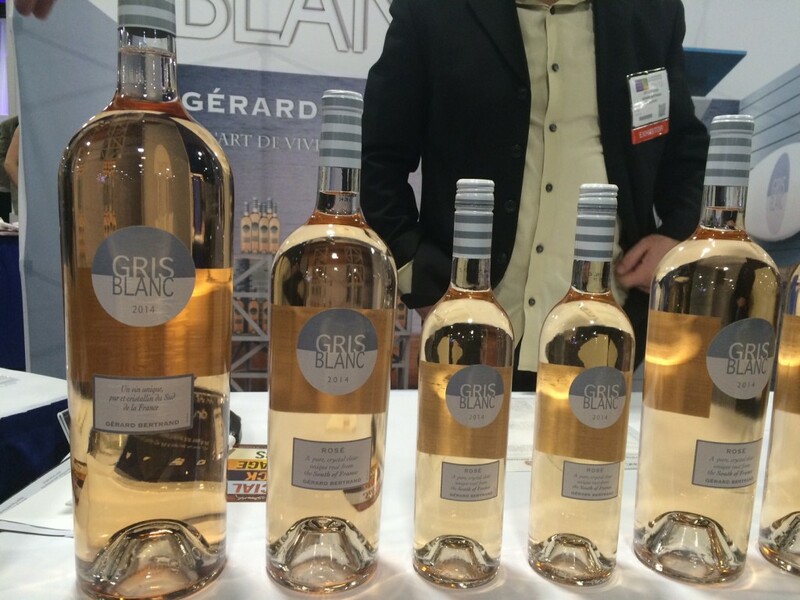 The good folks at 90+ Cellars sent me over to Gerard Bertrand for some of their Crémant Rosé and Gris Blanc. Monsieur Bertrand was on point with his delicate bubbles and crystalline rosé. 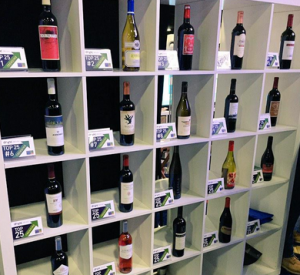 Wine app and local Boston startup, Drync, was a sponsor of the event. The Drync app, which allows you to scan, rate, find, and buy wine you love, was keeping track of the most popular wines. 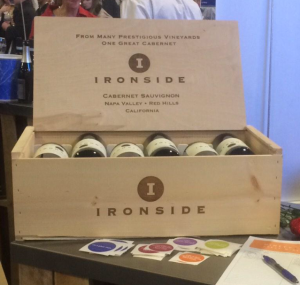 Throughout the day, the Drync team rushed from table to table awarding the “trending” wines on their app with a flag. This not only made the Expo exciting and tied to social media, but it also allowed for attendees to easily follow the user-rated best wines of the day. I’m not exactly a wine connoisseur, so I appreciated being able to rely on the taste buds of Drync users who probably know more than I do about wine. Once we were tasted-out, the shopping began. Second Glass, the company behind Wine Riot and wine inspired t-shirts, had a table set up at the event. I had seen their shirts before and jumped at the chance to grab one at a reduced Expo price. There’s nothing like shopping after drinking wine, am I right? 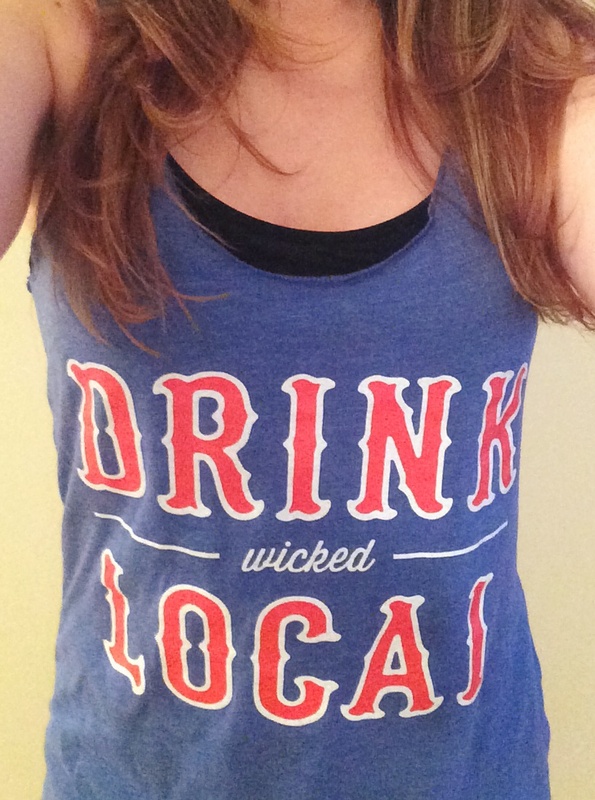 My boyfriend and I snagged matching “Drink Wicked Local” shirts in Boston colors, purely by coincidence and not at all because I’m a weirdo who wanted matching shirts. He got the t-shirt and I got the tank top so we’re arguably not really matching. 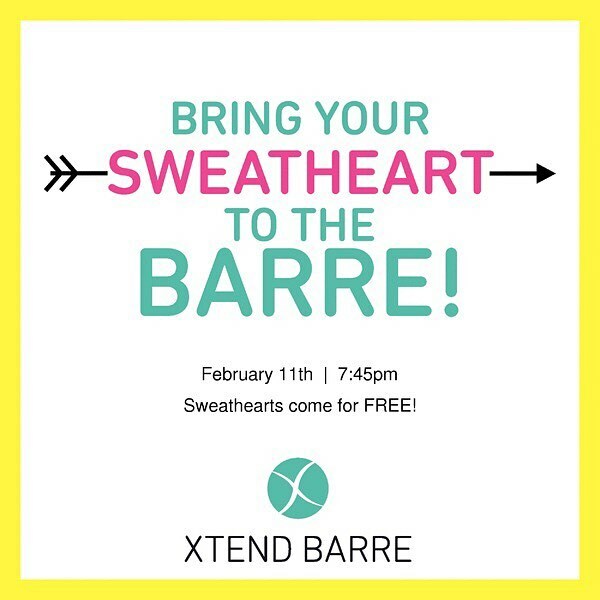 I love the tank top – cute and soft and perfect for anywhere, including the best yoga studio in Boston where I prefer to sweat out the alcohol I consume. Despite the weather dumping buckets of snow upon Boston, everyone was in good spirits. One of the things I loved about the Boston Wine Expo was that the crowd of attendees was a mix of different ages. 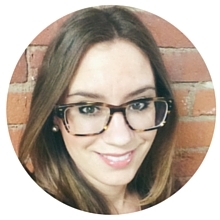 Boston is a young city, which lends itself to bars full of a relatively homogeneous group of young professionals and college students. 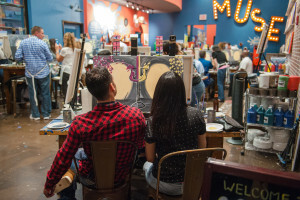 But the Expo drew people of varying ages and relationships – from couples to friends and groups of singles – just looking to have a fun Valentine’s Day. 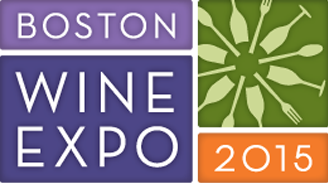 I’m thankful to have had the opportunity to attend The 2015 Boston Wine Expo. 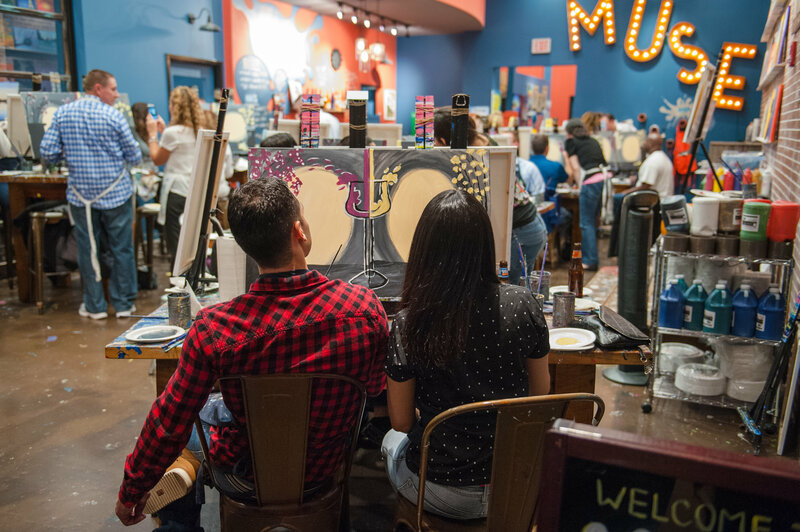 We spent a snowy day drinking and learning about wine, patronizing small businesses, and having fun – a perfect first Valentine’s Day event in Boston! Note: I received two free press passes to the Boston Wine Expo, but all opinions and sassiness are my own. On Friday I celebrated Valentine’s Day, aka Singles Awareness Day, for which the acronym is SAD. This upsets me because, while it’s nice to have a special someone in your life to buy you overpriced flowers and chocolate on a specific day dictated by society, it doesn’t have to be a depressing holiday just because you’re unattached. I’ve been single for the past 3 Valentine’s Days and they’ve all been filled with love from people who are close to me. The past couple years I felt love from family. This year I got to add the love of my friends…and drag queens. What??? Yup, this year my girlfriends and I had an awesome Valentine’s Day. 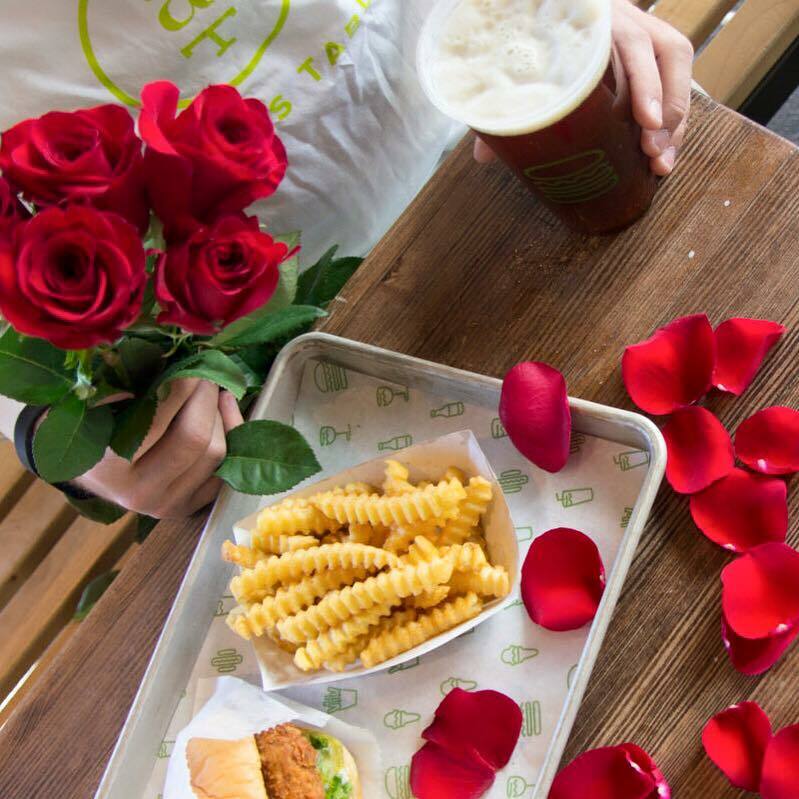 While we’re not all single, we all ended up being free for Valentine’s Day, as boyfriends were either working or out of town. 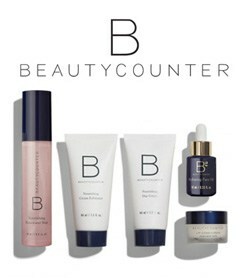 We got gussied up for the night, because nothing makes you feel more fabulous than looking fabulous. 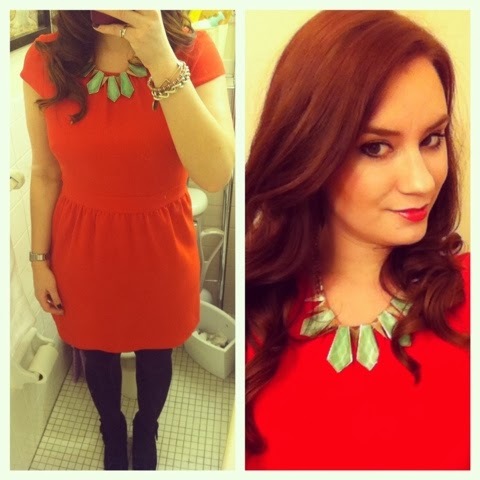 I wore my new red dress that I got at J.Crew’s Black Friday sale and ended up being perfect color for the holiday of love! I even braved wearing booties with a heel for the occasion, knowing full well that it was probably the stupidest decision of the night. More on that later. 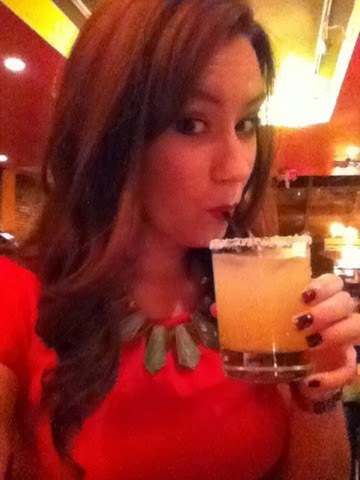 I met two of my girlfriends at Papagayo, a great Mexican restaurant in Boston. That’s a bit of an oxymoron, as Boston doesn’t have too many great Mexican restaurants, but this is one of the better ones. We ordered margaritas and food..and then I ordered a glass of milk because the sweetness of the margaritas gave me heartburn…apparently I’m 80. From there we went to Jacques, a fabulous drag show cabaret in Back Bay. We’d never been there but heard it was a hoot. And what better way to spend a girls’ Valentine’s Day than with other boys dressed like girls?! The queens were amazing! Like I was dying at how nice their butts were in sequin catsuits, amazing. The show was awesome and we were dancing, singing, and cheering them on like it was our job. From there we walked to to Club Cafe, a gay bar where we met up with some of the stars from Jacques. 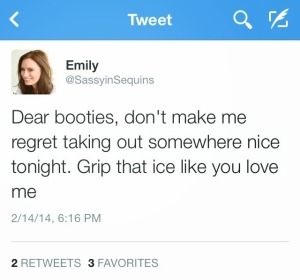 On the walk there, my smart friends changed into boots, as they knew that drinking and heels and ice don’t mix. 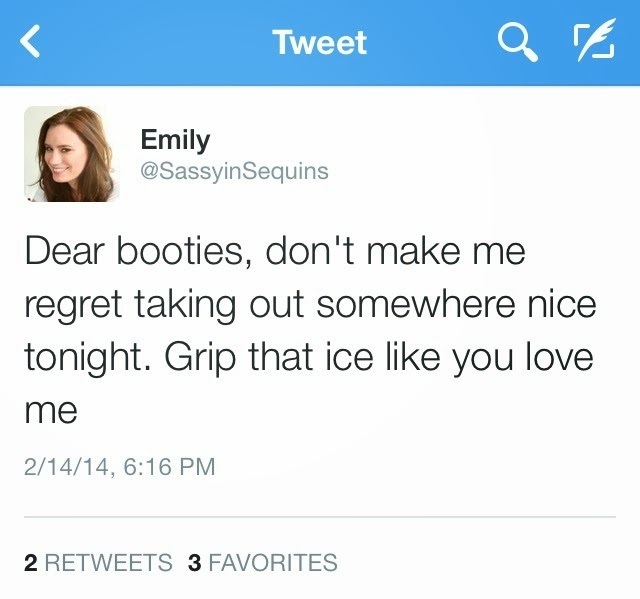 I also know that drinking and heels and ice don’t mix, but threw caution to the wind that night. I even tweeted about it. However, I got caught up in the excitement of the evening and forgot to exercise massive amounts of caution. I walked over some ice and found myself in a not-so-ladylike position, splayed out on the sidewalk. It was hilarious…but not. 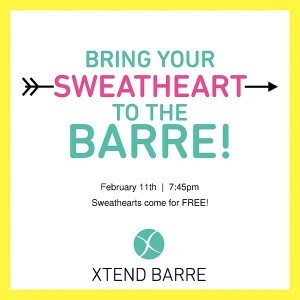 Thankfully, it didn’t stop me from tearing up the dance floor at the club with my girl friends and a bunch of boys looking for boyfriends (although it did keep me from attending a blogger Flywheel event the next day and I have several impressive bruises!). 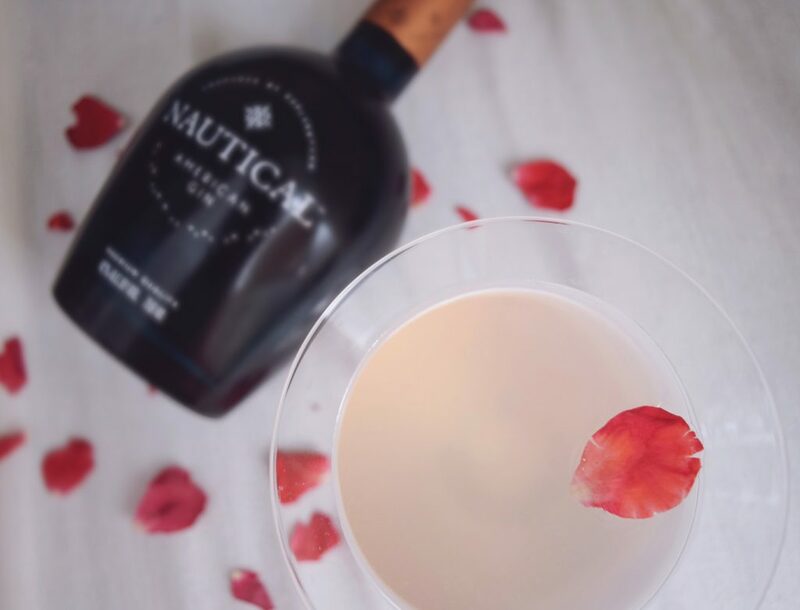 My Valentine’s Day was fun and full of craziness and love…how was yours?